Sununu turned in the worst fundraising period of any incumbent governor in a competitive campaign going back to at least 2002, the last year for which records are available online. Kelly has received contributions from nearly three times as many donors (4,109 to 1,516). Kelly had more New Hampshire donors in the last week (531) than Sununu had during the entire month (318). Kelly has more total donors the last month (1,599) than Sununu has during the entire campaign (1,516); and he’s been raising an entire year longer than Kelly. Out-of-state donors, corporations, and PACs make up more than half of Sununu’s contributions ($57,901 of $110,625) over the last month. The Trump Administration is fully behind Sununu, as Sununu received another $1,000 (the maximum allowed) from Mike Pence in this period, on top of $5,000 Pence contributed earlier this year. 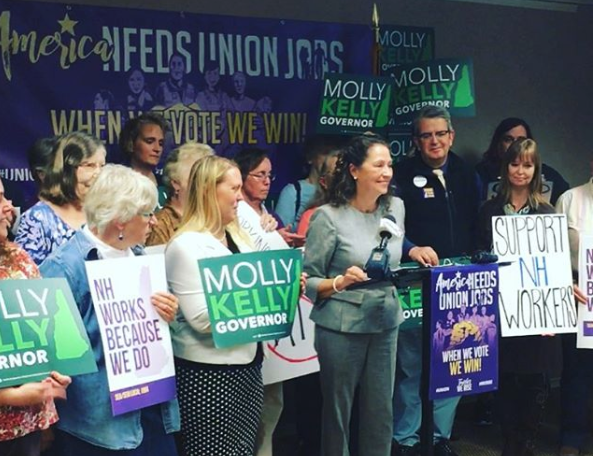 Kelly received a record-setting number of votes in the primary election last month as Democrats set a new high-water mark for turnout.